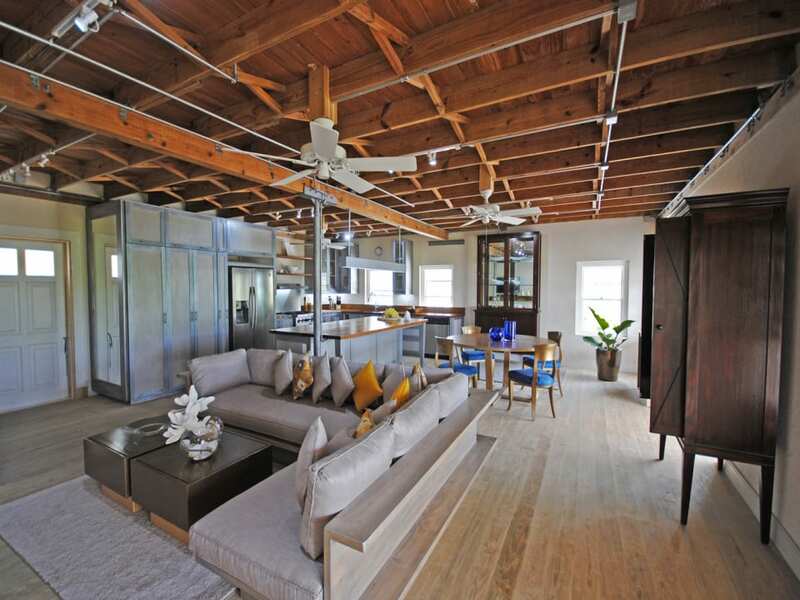 The natural breezes and light of this loft apartment. 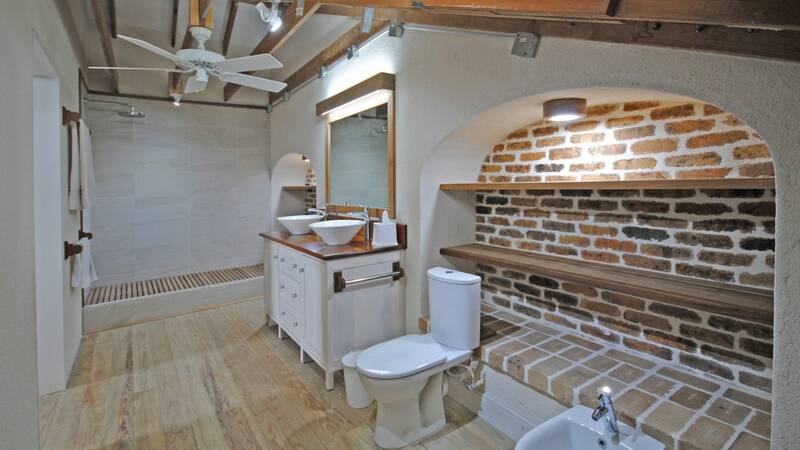 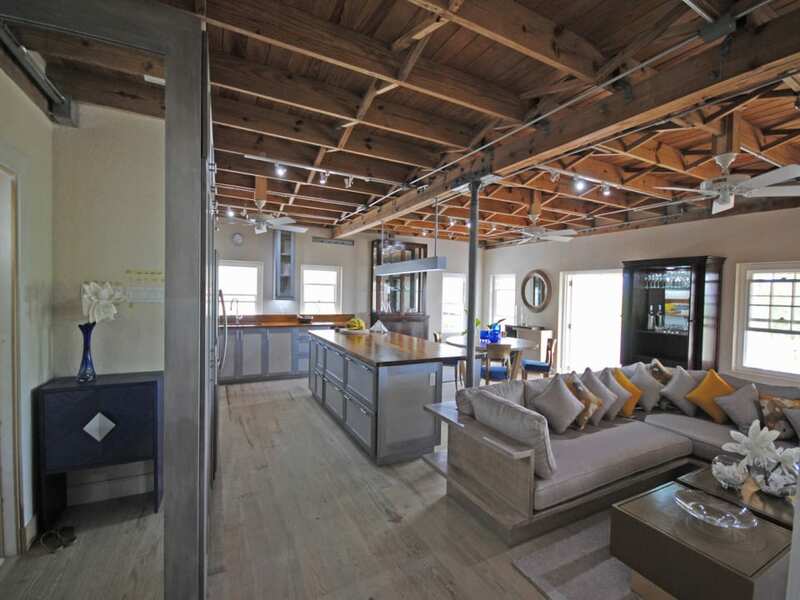 This luxury first floor apartment and loft occupies a converted sugar factory which has been meticulously restored for modern living. 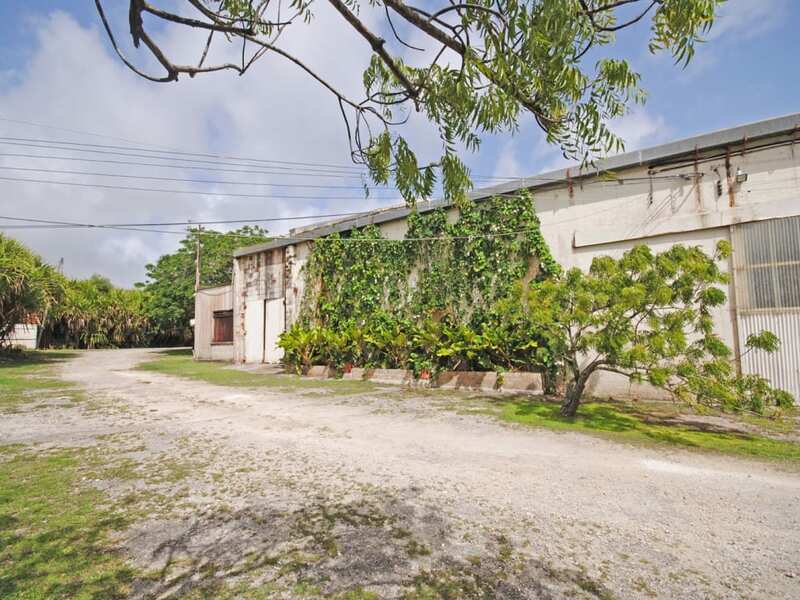 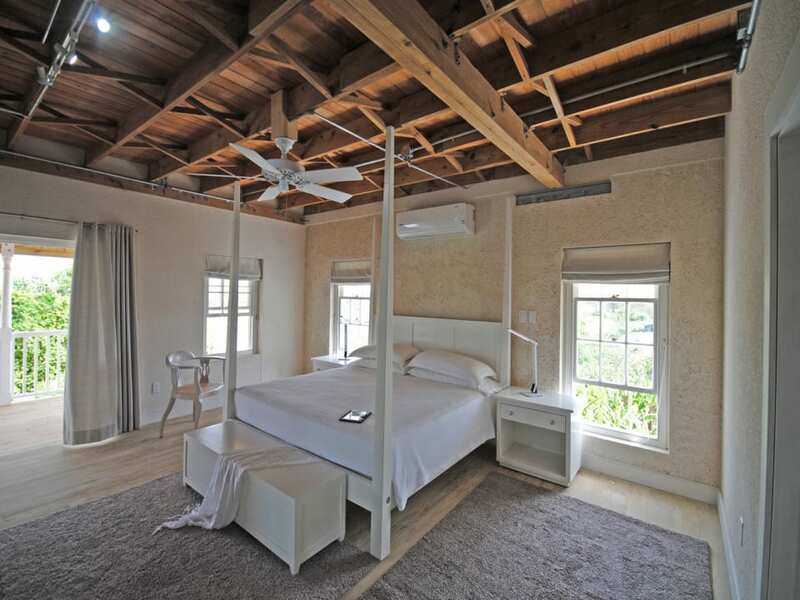 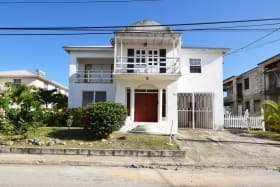 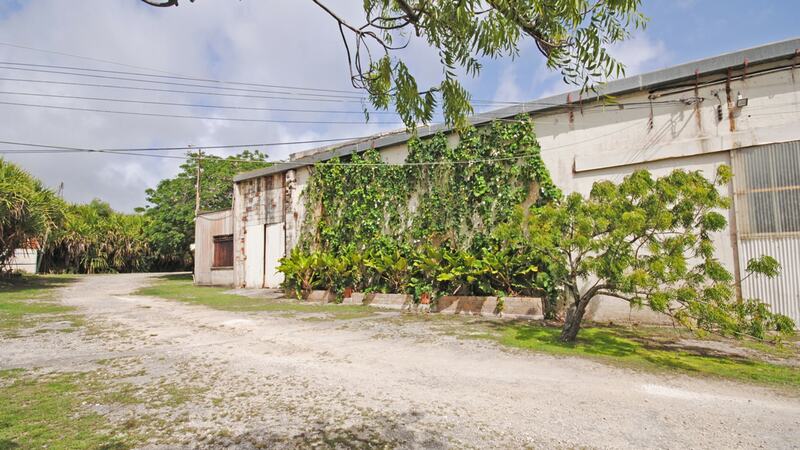 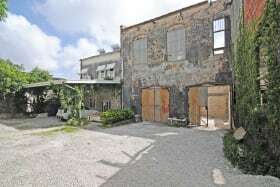 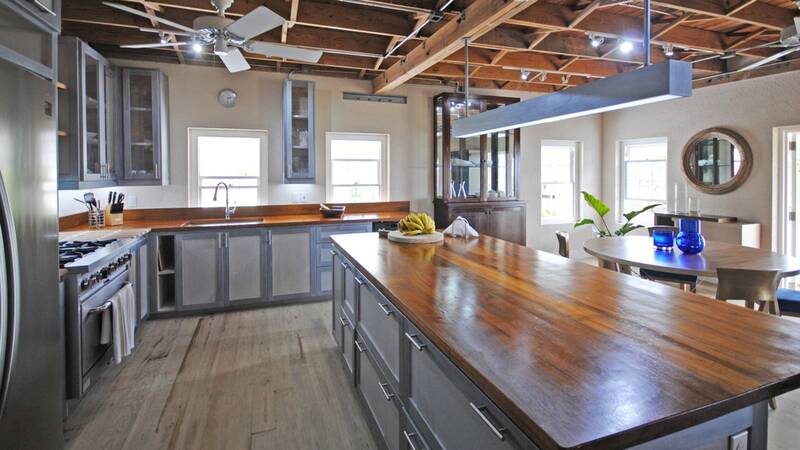 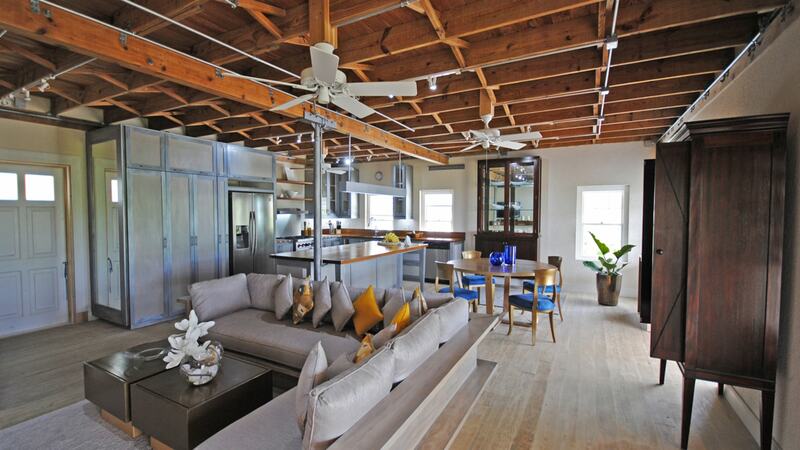 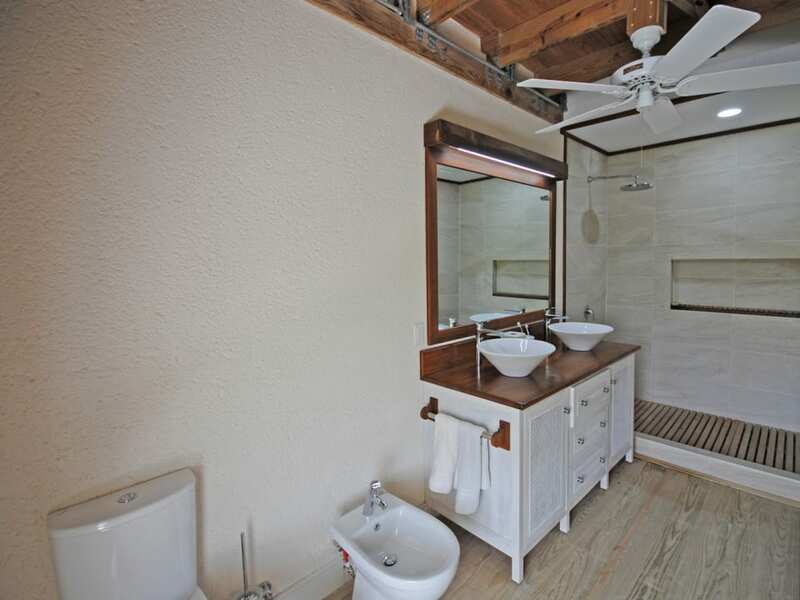 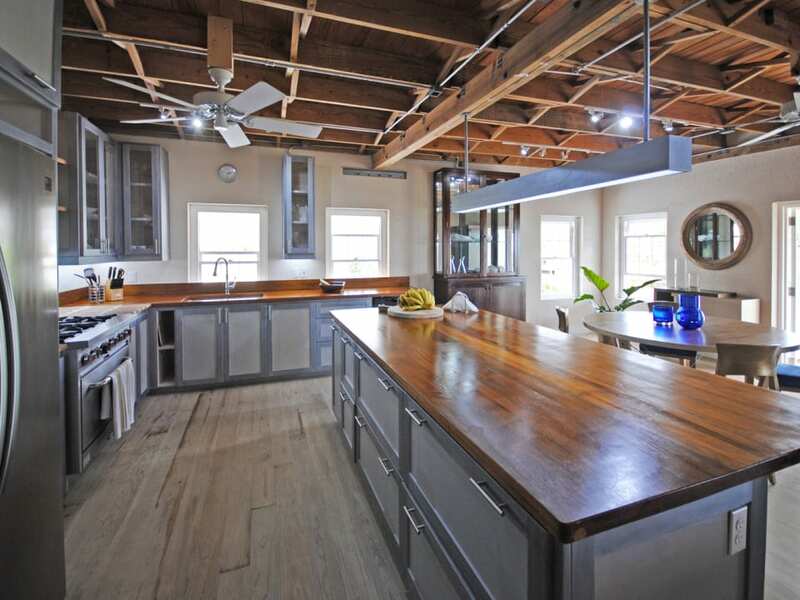 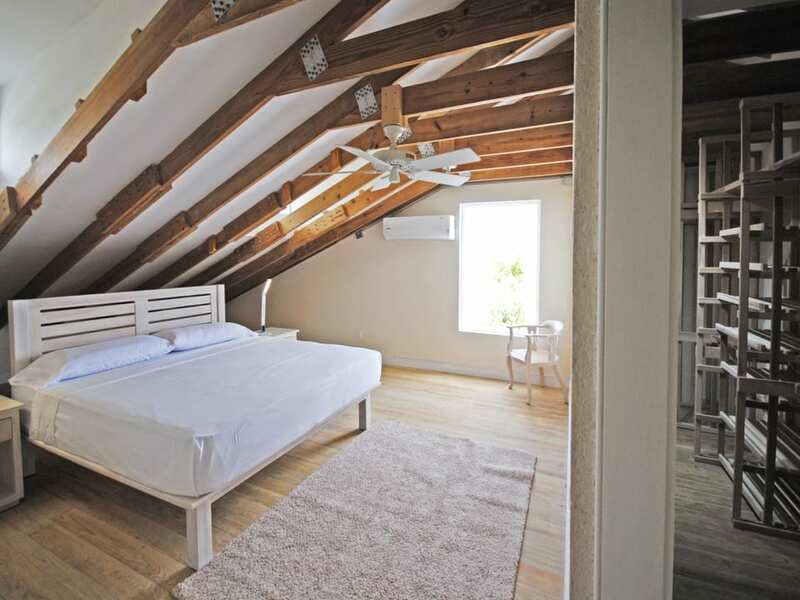 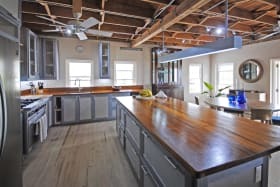 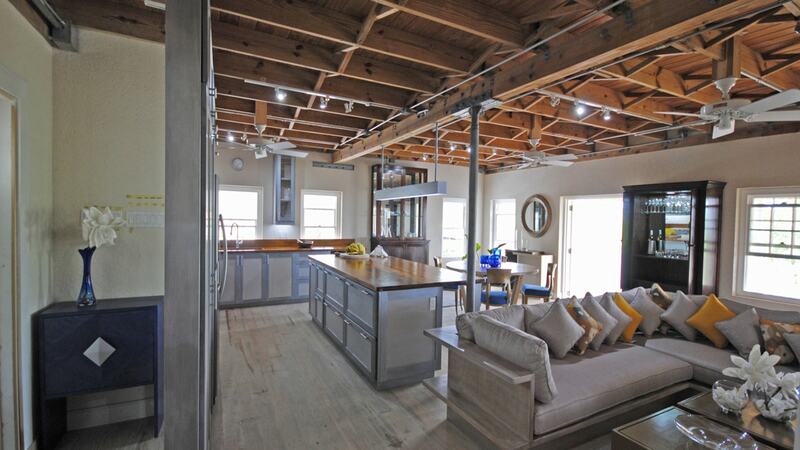 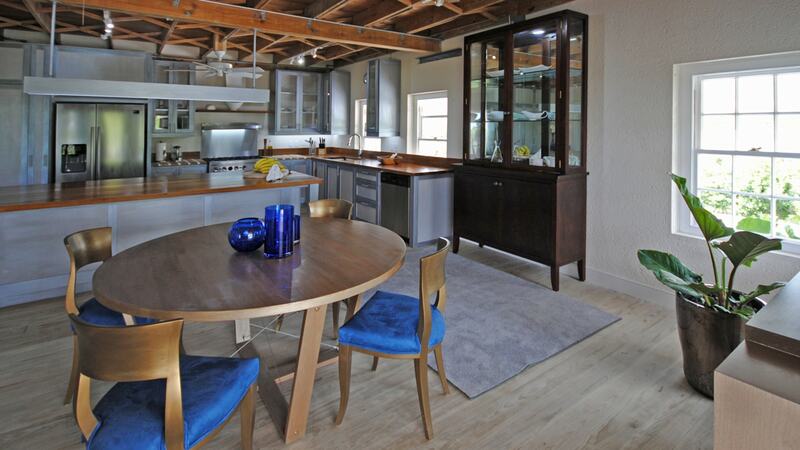 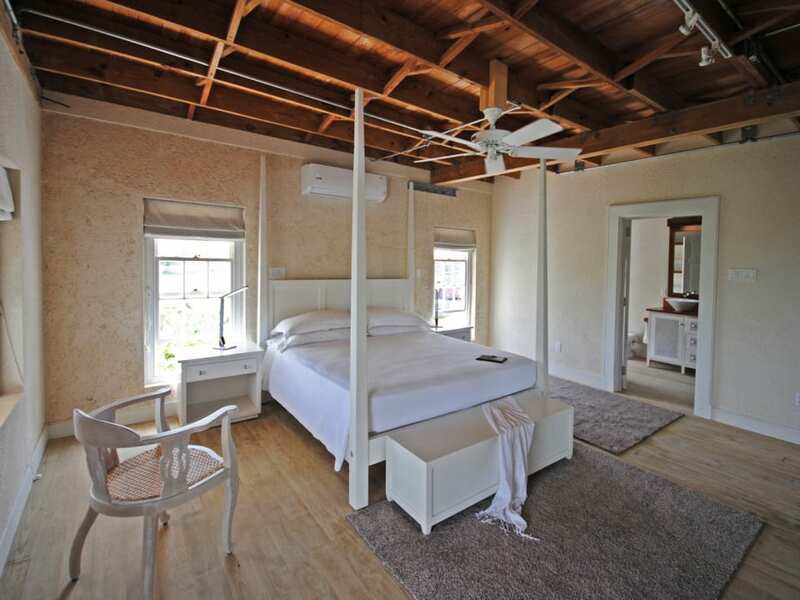 Pan Boiler loft is a unique fully furnished 2 bedroom apartment with custom-designed Island Furniture and is offered for rent totally equipped. 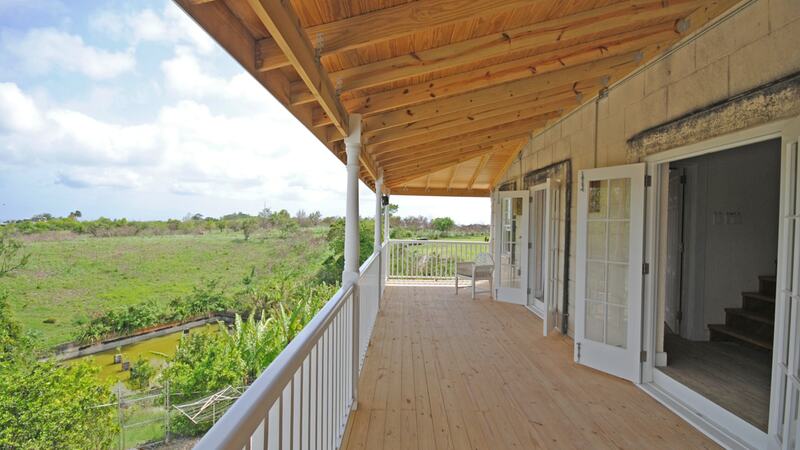 About 1600 sq ft in size this beautiful residence has an open plan kitchen (equipped with high end appliances), living and dining room which opens to a large veranda with great country views, this veranda is the perfect place to enjoy stunning sunsets. 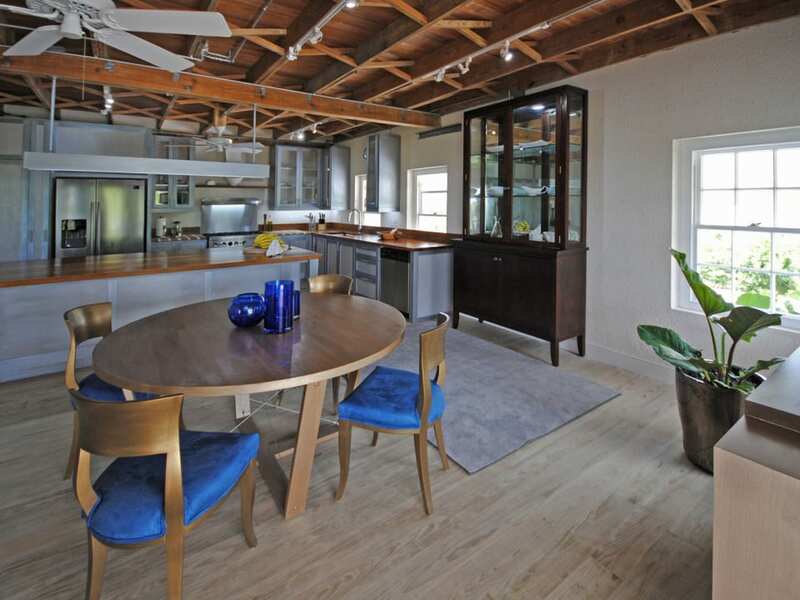 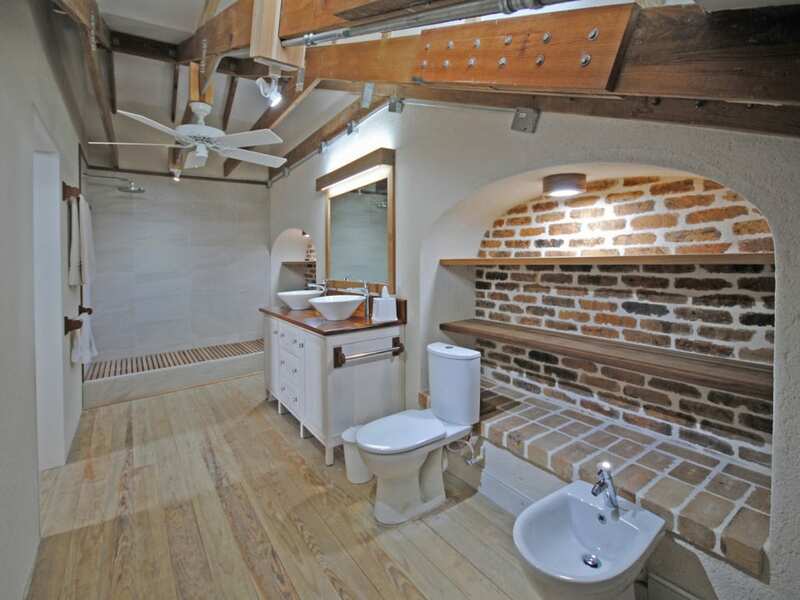 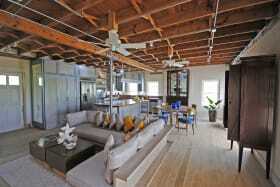 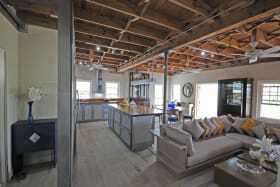 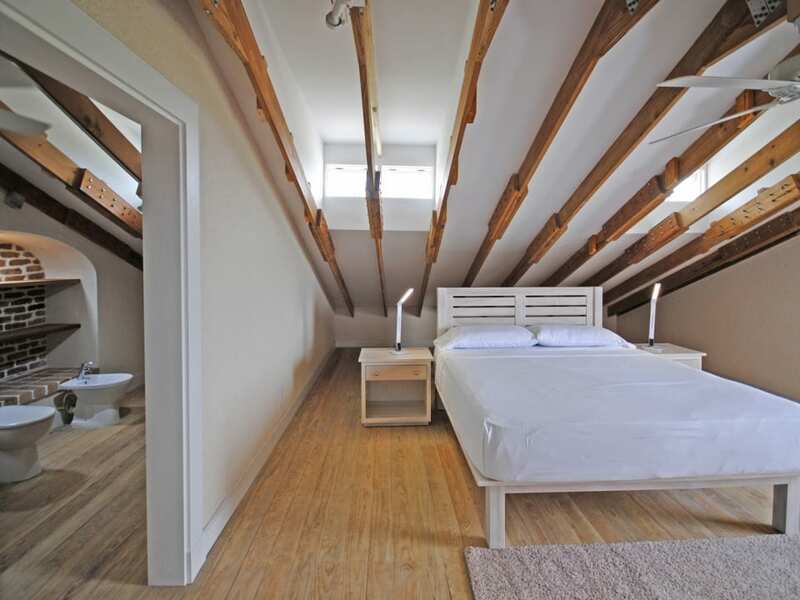 The floors are wooden and the ceiling beams and light fittings exposed for modern effect. 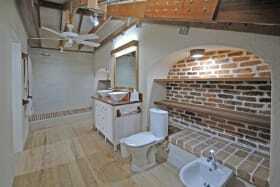 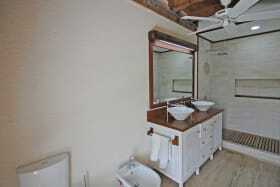 Also on this level is the airy master bedroom with large ensuite bathroom along with an attractive guest powder room. 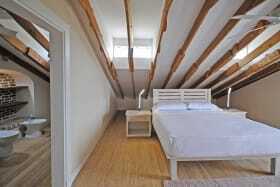 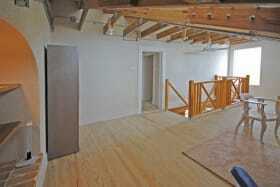 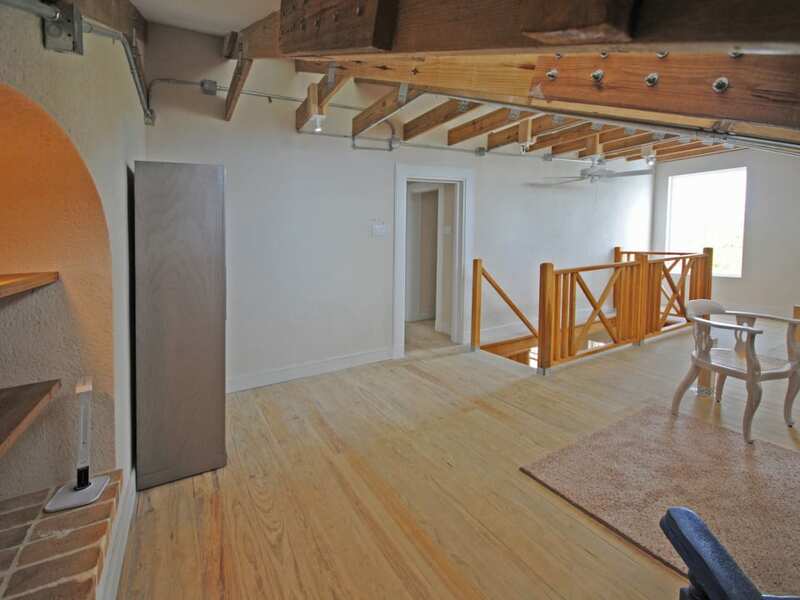 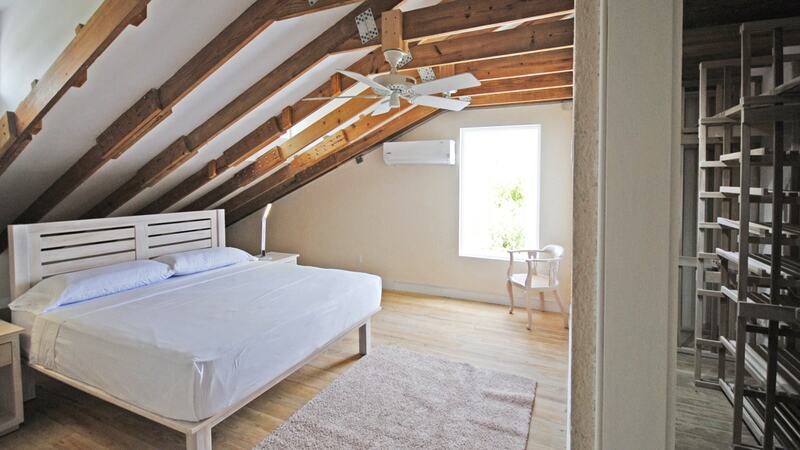 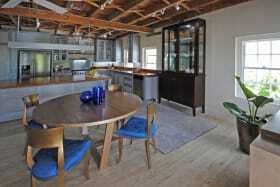 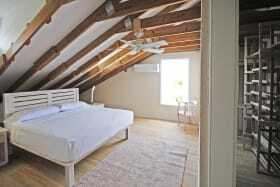 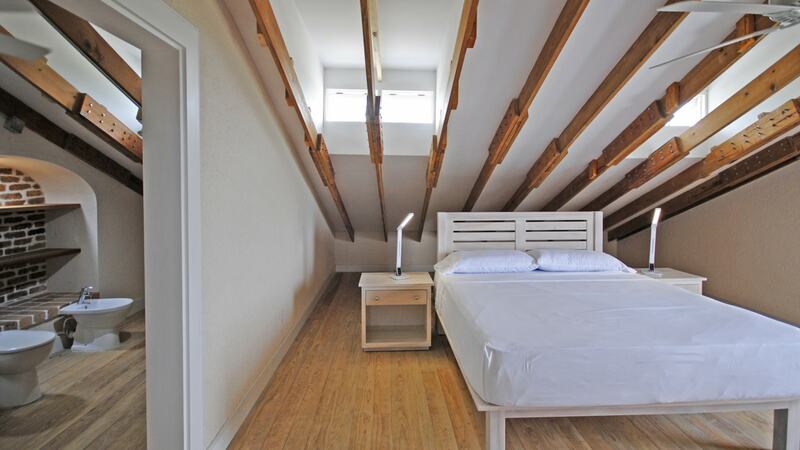 Upstairs; the loft features an office/sitting room, second bedroom and ensuite bathroom and a huge walk in closet. 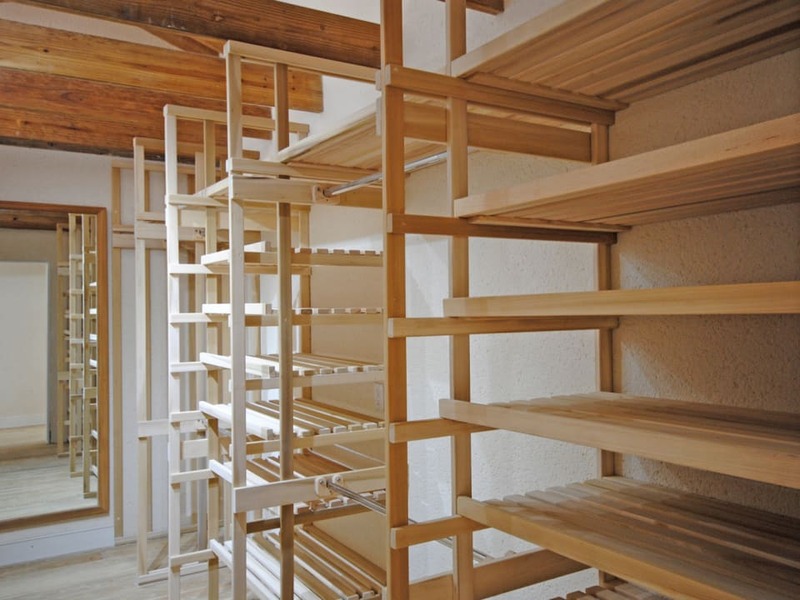 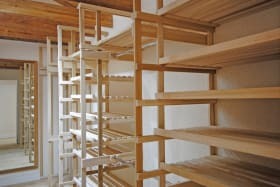 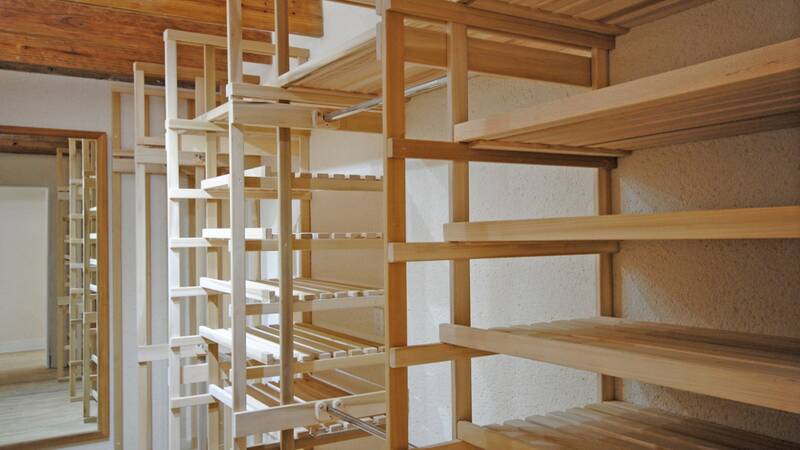 Extra storage is well thought-out throughout this apartment. 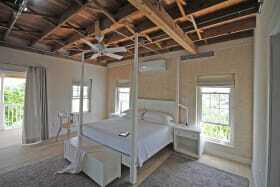 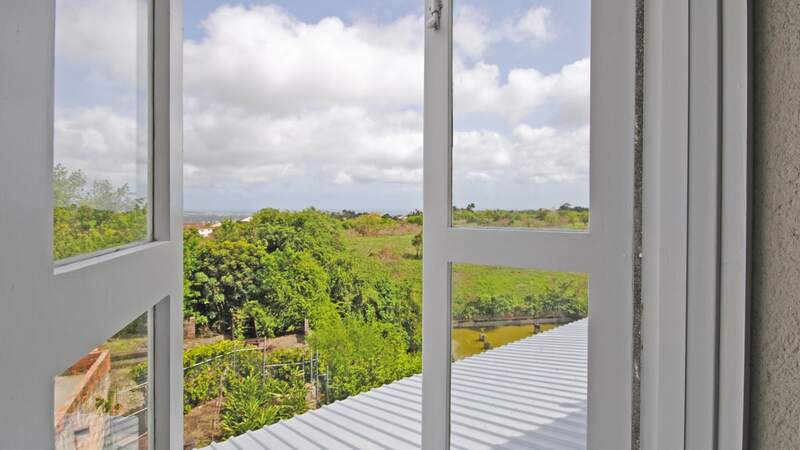 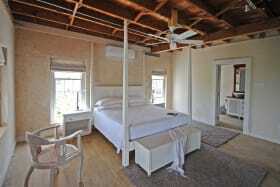 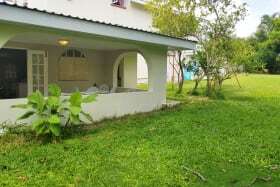 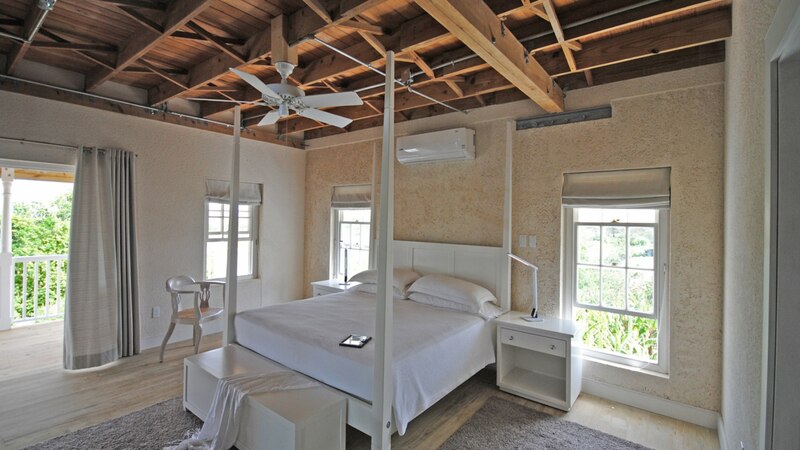 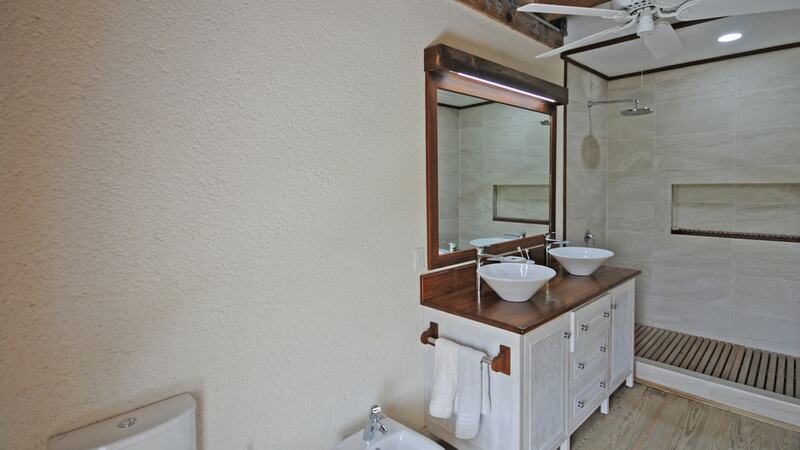 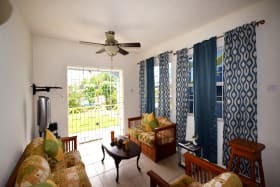 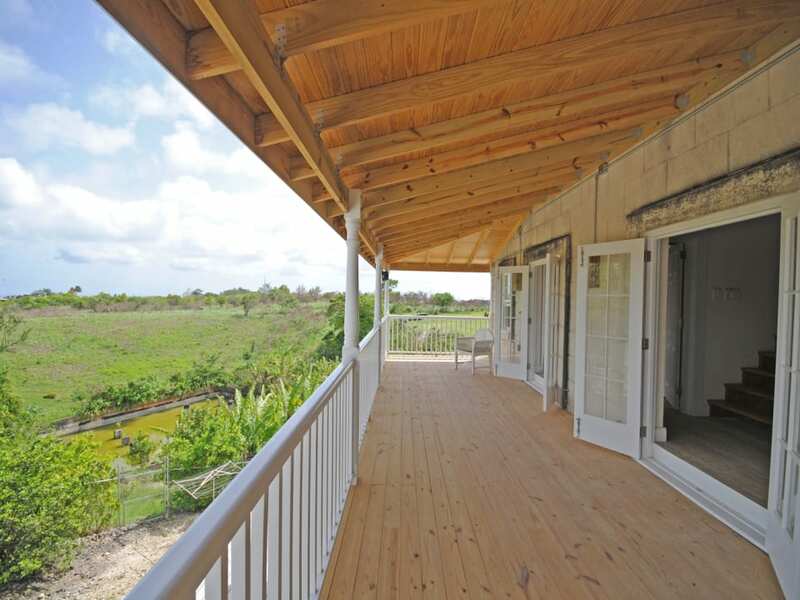 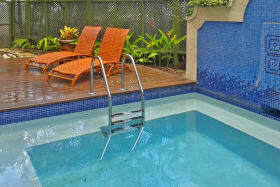 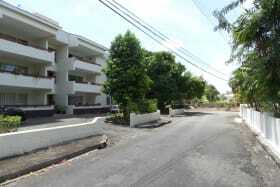 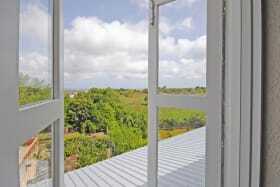 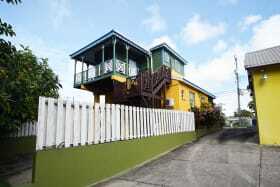 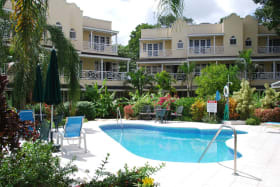 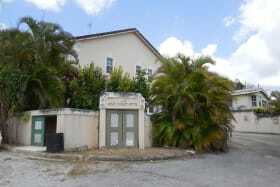 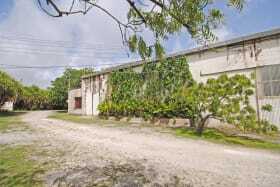 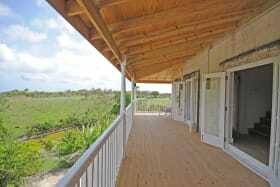 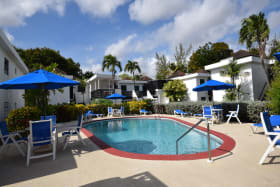 Both bedrooms are air-conditioned though the property enjoys natural country breezes. 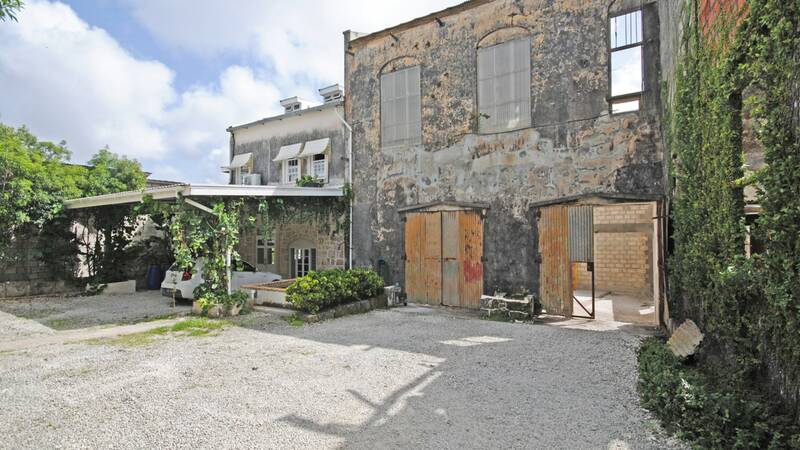 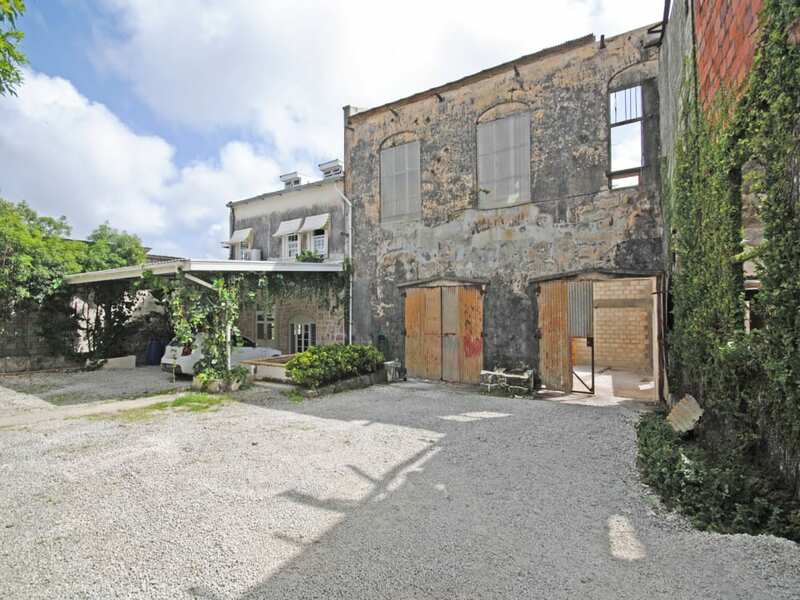 Access is via an electric-gated triple height courtyard (part of the old factory) complete with lily pond and ivy covered coral-stone walls. 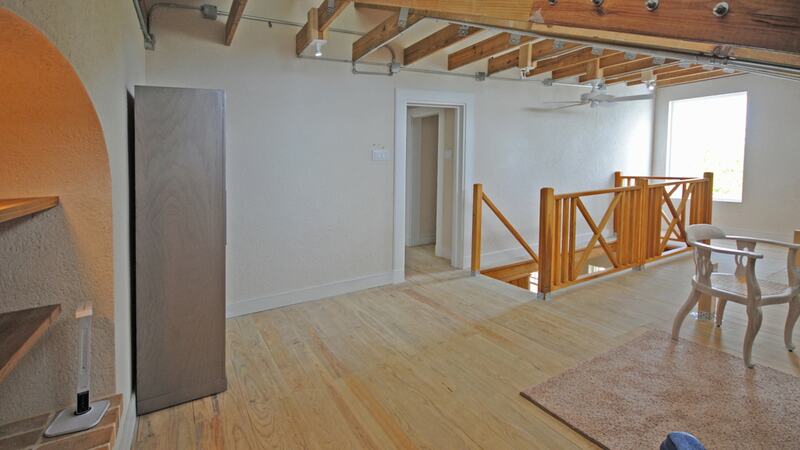 No children and no dogs except teacup variety. 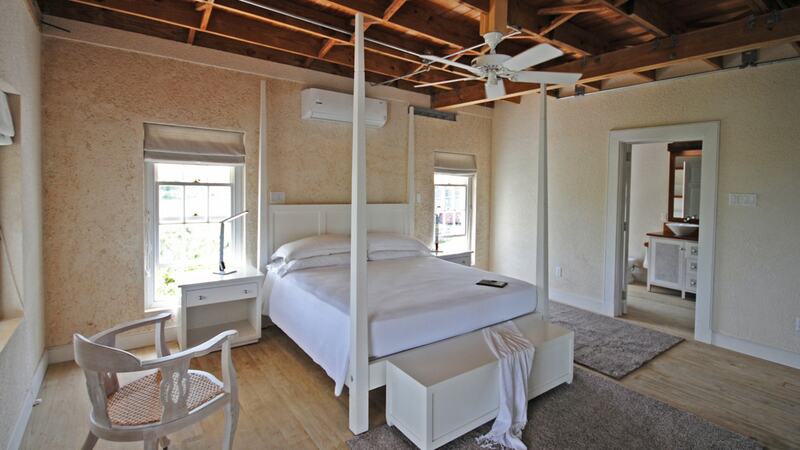 Note: Linen not included.